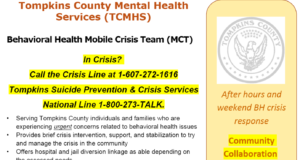 Serving Tompkins County, individuals and families who are experiencing urgent concerns related to behavioral health issues, the Mobile Crisis Team provides brief crisis intervention, support, and stabilization to try and manage the crisis in the community. May also offer hospital and jail diversion linkage as able depending on the assessed needs. 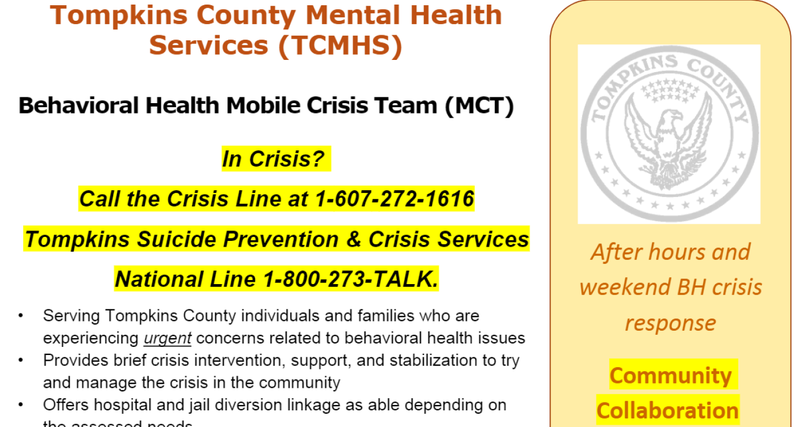 For more information about how to utilize the Mobile Crisis Team with your loved one, please click on the link below.